All you need to know about prosthodontics…right here. If you had cancer, you wouldn’t go to your primary care physician for treatment. You’d get help from a specialist in cancer–an oncologist. Similarly, when you have complex dental needs, you don’t get treatment from your general dentist. 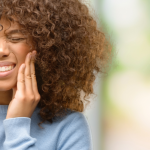 You go to a prosthodontist for treatment of specialized needs such as temporomandibular disorders, implants, oral pathologies, and occluded teeth. Penn Dental Medicine is announcing its newest addition to an already wide array of dental specializations with the launch of its graduate prosthodontic program–the only one available in the Philadelphia area! We are now accepting prosthodontic patients for a complimentary initial consultation. Not sure if prosthodontics is what you need? 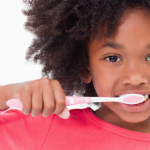 Read on to learn more about this amazing things done in this dental field. A prosthodontist completes 3 extra years of schooling after dental school. Many even have a Master’s degree in prosthetic dentistry. They are considered in the dental profession as “Master dentists” or “Quarterbacks” leading teams of dentists, including other specialists. 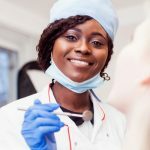 The prosthodontist will evaluate the situation, coordinate a treatment plan, and then work with other specialists to ensure that their patient receives the best possible solution for their dental needs. What Does A Prosthodontist Treat? 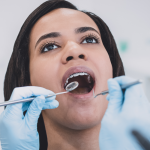 You can talk about mouth rehabilitation or a mouth makeover, but really you’re always talking about three main things that a prosthodontist deals with: dentures/crowns/bridges, cosmetic dental veneers, and dental implants. Dentures/Crowns/Bridges. Removable dentures are used to replace teeth, while a crown is a cap placed over a tooth to give it better shape and functionality. And a bridge reaches across the gaps in your teeth to reestablish stability. These are all options in the pocket of your prosthodontist, according to your individual needs! Dental veneers. Custom-designed shells attached to the surface of your teeth, they can radically improve the appearance of your smile. Dental implants. They look and feel just like real teeth, effectively replacing those that have been damaged. No one can tell the difference! Some procedures require the coordinated care of a periodontist and a prosthodontist. At our office this is no problem, as we offer a range of dental specialties. 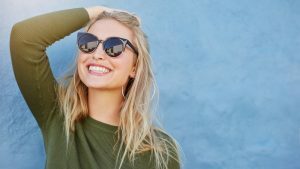 Many people come to a prosthodontist as the makeover they’ve been waiting for, especially before starting a new phase in life…for their wedding, a new job, etc. Prosthodontics for edentulous patients is also a big need, as many older folks are missing teeth. Don’t miss this opportunity to take advantage of the skills of our state of the art prosthodontics department in Philly. Prospective prosthodontic patients can make an appointment here.